Home Curriculum Reviews Is Time4Learning 4 You? “CONS – Parents can’t review the lessons without signing in as their children. Some of the answers in the answer keys are wrong. If child wants to review one part, can’t fast forwards to the spot needed to repeat. PROS – Not an online school; curriculum, so it is more affordable. The activity planner is a he asset (although wish able to schedule breaks one day at a time rather than just weekly). Child gets to learn independently at their own pace. T4L has limited science lessons until third grade. 3rd grade lessons are text based, not animated, but there is a new partnership with Science4U that contains 300+ science activities available (included in membership) for grades K-3. The curriculum, although a bit hokey, did help their child learn – perhaps due to the memorable hokeyness. One actually had their children (at age 16) graduate and created diplomas for college applications. How Much Time is Required with Time4Learning? There is no required time or schedule given. However, on the website, one parent says during a typical day when the students begin their computer lessons at ten, they are normally finished by noon. What is the Level of Parental Involvement Required? For the lower grades, parental involvement is minimal. There are worksheets to reinforce learning that are quite helpful. In the upper grade levels, more parental involvement is needed to review work done – especially written work. 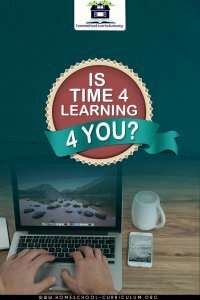 Why Would you Recommend Time4Learning to Others?